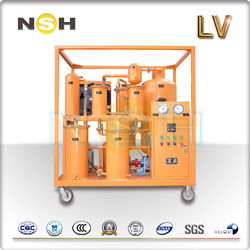 LUBRICATION OIL, DIESEL, FUEL, EDIBLE OIL, etc. 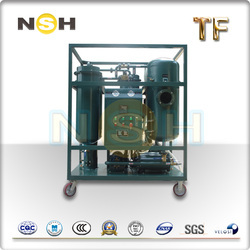 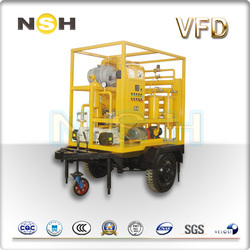 NSH vacuum oil purifier utilizes vacuum, coalescing and separating technologies. 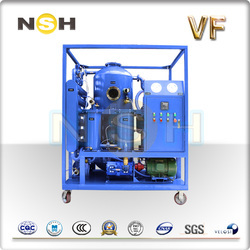 They are designed to remove water, gases, particulates, sludge and acids from lubrication, dielectric, hydraulic and engine fluids. 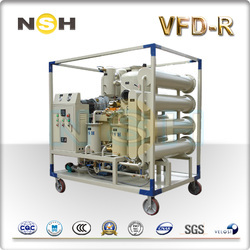 It also named as oil filtration machine, oil purification, oil dehydrator, oil degasification, oil recondition, oil reclamation, oil recycling, etc. 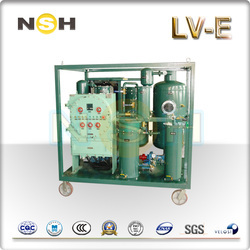 They are able to treat Transformer Oil, Insulation Oil, Dielectric Oil, Hydraulic Oil, Turbine Oil, Industrial Oil, fuel oil and other Lubrication Oil.